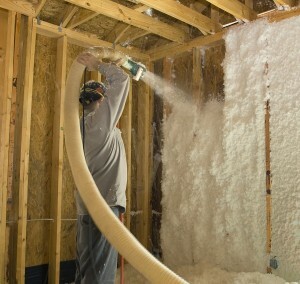 For insulation contractors you can trust to efficiently and reliably perform an installation in your home in the Greensboro area of North Carolina, the best place to look is 31-W Insulation. Our highly trained installation crew will make sure that your house is fully insulated, paying close attention to every nook and cranny for complete protection against heat transfer. And, with their expertise and fast work, they’ll make sure you’re back inside your home in no time without ever compromising the quality of their workmanship. At 31-W Insulation, our insulation contractors have been insulating homes in the southeastern United States since 1972, so we’ve spent decades perfecting our installation techniques. Additionally, as a family-owned business, we understand the value of our customers’ experiences with each project, which is why we never subcontract any of our employees, ensuring that they always uphold our high standards of customer service. In fact, our superior service to our customers in the Piedmont Triad area and beyond has helped to earn us an A+ rating with the Better Business Bureau. If you live in Greensboro or elsewhere in North Carolina and are interested in having our insulation contractors service your home, contact 31-W Insulation today for a free in-home estimate.